Many years ago, I had a picky eating 2 year old. I researched how to start teaching kids to eat healthy and found the same advice over and over again. Just ignore it and they will eat healthy on their own eventually. I’m not sure what those authors were smoking but my kid would have happily lived on chicken nuggets and French fries every day if I let him. I decided I was done with modern parenting advice and made it my goal to have my kids eating a healthy and natural diet with the occasional treat thrown in for sheer enjoyment. Teaching kids to eat healthy doesn’t mean you have to give up the occasional bowl of icecream or stop splurging on movie theater popcorn once in a while. So, how do you go about teaching kids to eat healthy? I will be honest and say that there were a few tears, a few arguments, and more than a few missed meals. However, I now have two teenagers who eat what I put in front of them and love their fresh fruits and vegetables. Teaching kids to eat healthy when they are young will lead to a lifetime of healthy eating habits. So, here are a few tips to get you started. 1. Sit down together with a cookbook: I absolutely LOVE cookbooks. Particularly ones with lots of pictures! Take a few minutes on the weekend to sit down and browse through recipes with your kids. If your children are old enough, they even offer cookbooks specifically geared towards children with recipes that are simple enough to make themselves. Discuss the ingredients and what they are and encourage your kids to help make a grocery list. This makes a great lesson on penmanship and spelling! 2. Take your kids grocery shopping: Yes, this can often be a huge pain if you are in a hurry and don’t want to deal with whiny children but it can be FUN if done properly! Try taking only one child and leave the other home with dad. Don’t go when they are hungry and/or tired, either. When you wander through the produce section, talk about which products are in season and where each one comes from. Go home and look at the globe (another great teaching moment!) and see how far away grapes from Chile come from versus apples from New York. Teach them the difference between brown rice and white rice or low fat milk versus whole milk. There are actually kids in this world who think that butter is made from corn. Do not let your kids be one of them! 3. Give them a chore or two: Teaching kids to eat healthy is easier when they take an active part in food preparation. 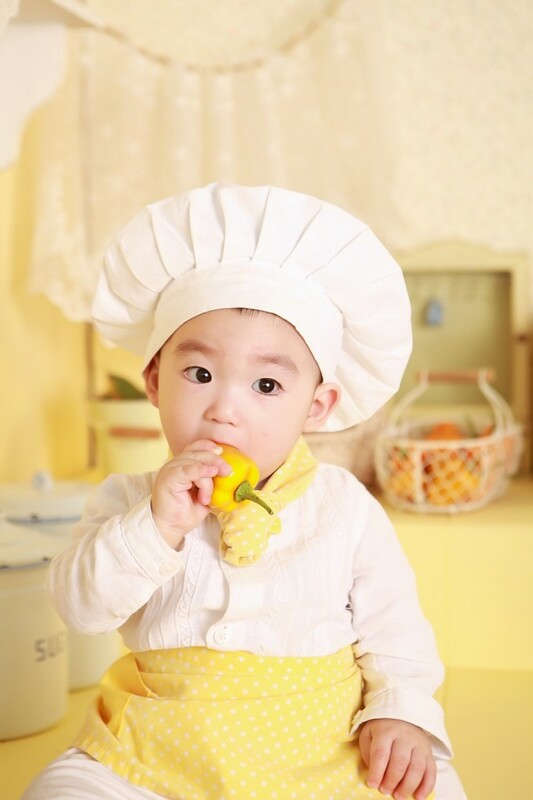 Kids are hands on kind of creatures…they want to stir, mix, chop, and otherwise get their fingers in the food. Let them! 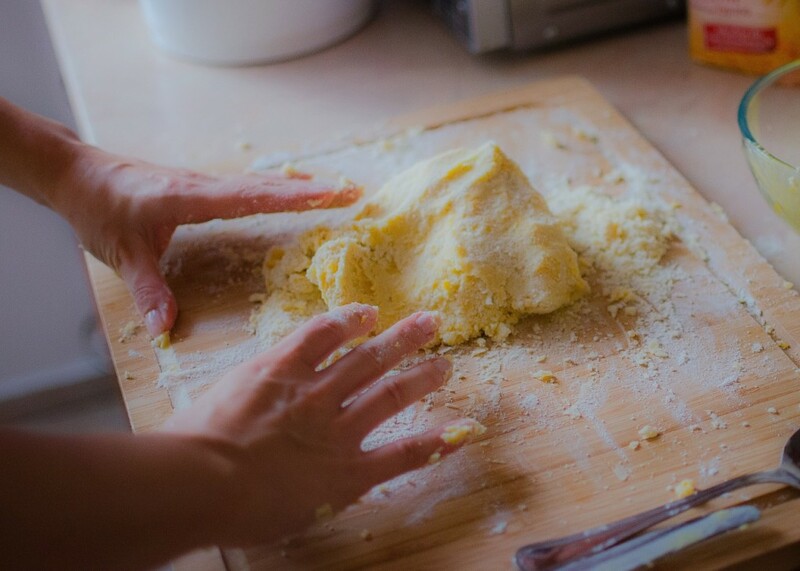 Make a loaf of homemade bread with your kids one rainy Saturday and let them knead the dough. Even if your kids are very small, there are things they can do to help you in the kitchen. They can put silverware on the table, wash the veggies, pull grapes off the stems, or many other simple chores. When they get older they can graduate to slicing strawberries and flipping pancakes. 4. Give up your idea of perfect: This one is very important because while cooking with kids can be fun, it can also be a bit stressful. So what if some egg shell gets in the bowl or if your cookies come out looking slightly deformed. Your meal will still taste good and your kids will have a feeling of accomplishment that they helped. 5. Dress the part: Okay, this one may seem silly but my kids LOVE wearing aprons. We have about 6 or 8 of them in the kitchen and my daughter’s favorite was always the (–>>> affiliate link!) mother daughter matching aprons. They make aprons that are ‘manly’ for your little boys…and don’t forget to get dad in the kitchen too! Boys naturally use dad as a role model so seeing him in an apron with flour on his nose is a good thing! Teaching kids to eat healthy can be a family affair and it naturally becomes a lot more fun to cook dinner! 6. Eat with your kids: This is one thing that I think really makes or breaks a kid’s eating habits. Do NOT give in to the pressure to feed your children a separate ‘kid friendly’ dinner just because you don’t want to deal with the hassle of getting them to eat what you put in front of them. I won’t go into strategy here but with a little bit of patience and putting your foot down, you will end up with a child who is open minded about new foods that are set in front of them. Brown rice, asparagus, shrimp, Pad Thai or whatever else the grownups are eating should be offered to the children as well…at the same time. Sit down for a family dinner where you all enjoy the same foods! Teaching kids to eat healthy is incredibly important for their long term health. If we don’t teach our children how to appreciate good food, shop for ingredients that are healthy, and educate them on how to prepare them we will end up with an entire generation of adults that eat nothing but hot dogs and chicken fingers! That is not a healthy way to live! 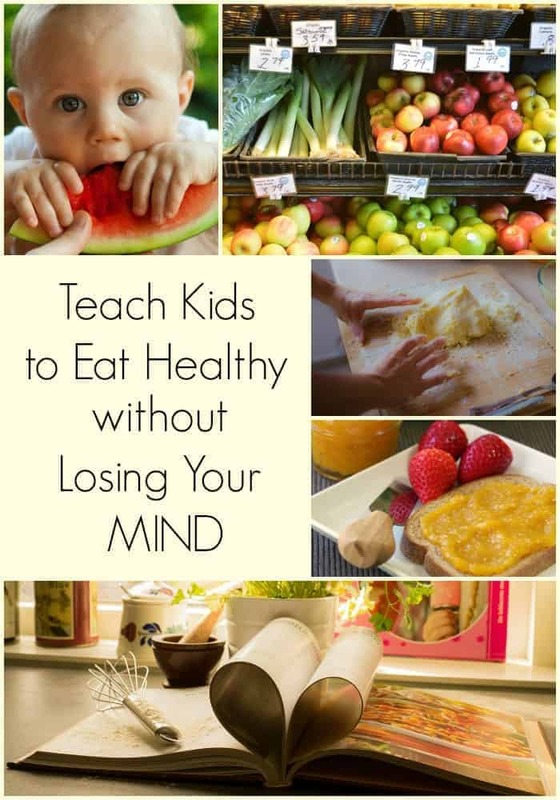 Have any other advice about teaching kids to eat healthy? Looking for healthy recipes kids will love? 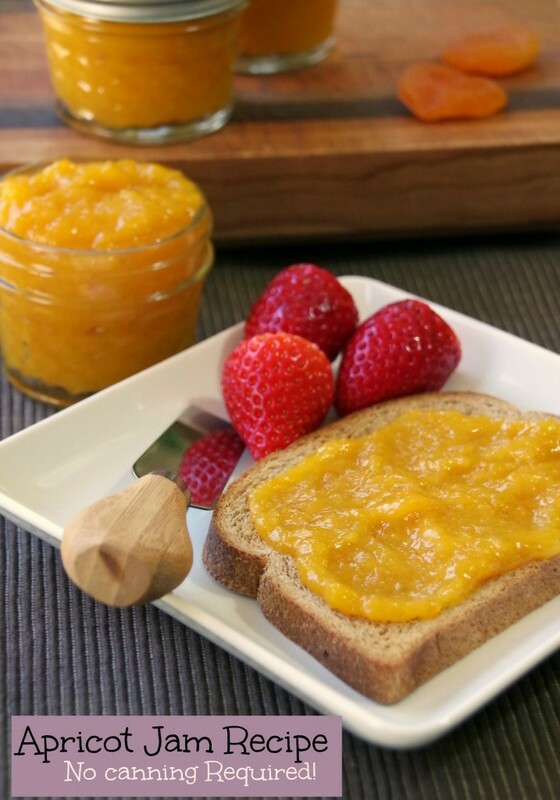 Try this homemade apricot jam on some whole wheat toast!